Material Cryptographies is a two-day seminar considering the implications of encryption practices for contemporary art. We aim to examine how cryptography, the art of writing or solving codes, can expose and utilise the hidden material substrates in an array of objects. The physical embodiment of code is often overlooked: treated as invisible or incomprehensible, while in fact, it may hold significant clues to further our ability to accurately ‘read’ an object or event. DNA for instance, is both code and material, where information is literally material and it’s function is incomprehensible by us without proper tools of translation. In our realm, the word “encryption” implies secrecy, confidentiality, and the drive to hide information from a public ‘adversary’. Yet more broadly, any art object might be understood as something withdrawn from a viewer’s comprehension; hiding information, witnessing unknown pasts or simulating as-yet unforeseen futures. In this context, how do artists use encryption as a methodology for approaching materials and how does this relationship trouble preconceptions of artistic authorship? How might cryptography, notably in regard to newly emerging information politics, relate and update older notions of hermeneutics or semiotic acts of decoding? What are the implications of these information politics for artists, as encryptors of material? When objects become witnesses, encrypting temporal data into the fabric of their physical structure, they naturally invite decryption. From here we may decode and reconstruct past events, but just as importantly, build models for simulating future occurrences. What are the implications of understanding such acts of reconstruction as ‘truth’? Are materials that bear the weight of encryptions unbiased and are our decryptions able to be impartial? When materials, including computational objects, are subject to external processes that bring about their structural reordering, they produce what philosopher of science Isabelle Stengers has called an 'informed material' in the sense that their internal composition becomes progressively enriched by information. Conceptualising all recoded material (structurally recomposed matter) as informationally enriched troubles a certain distinction between the analogue and digital whereby information is generally regarded as belonging to the purview of immaterial data, whereas properties are what define physical matter. Treating both analogue and digital entities as informed matter fosters greater connectivity between disparate events, forging new categories of assembly across disciplines that have their material stakes in different kinds of questions. This talk tracks a series of media objects through a range of contexts and infrastructures in order to explore the ways in which matter archives and refracts the complex histories of violence in which it is implicated and, by extension, examines the condition of 'informed' materiality that discloses its processing, renders visible the systems in which it is embedded, and activates its political potential. 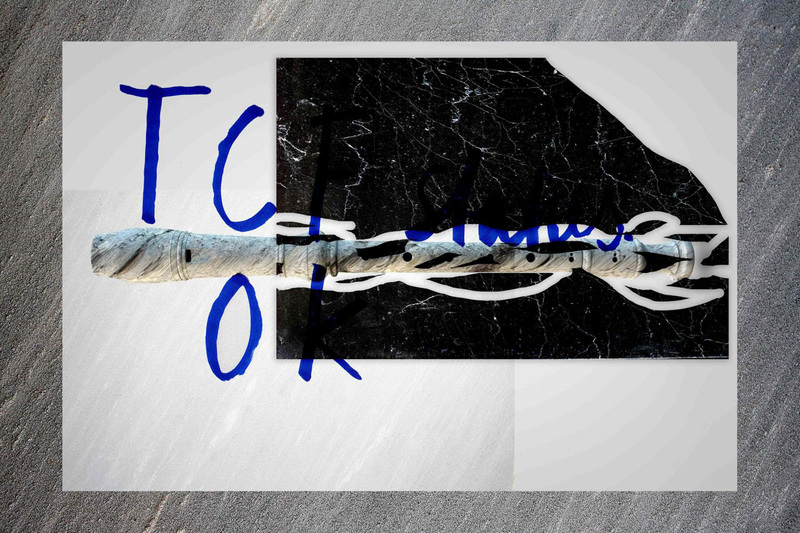 Patrick Hough, Object Interviews (Part I), 2013, 6’07"
Alia Pathan, Marine Spirit Attack (Reprise), 2014, 10’00"
Lars Holdhus will focus his presentation on the system he has developed under the name TCF (The Contemporary Future). Expressed through music, performance, visual art and lectures, the works form an encrypted presentation of encryption strategies. The lecture will approach the relationship between knowledge and power and how encryption is shaped by it. Concerning art practices, Holdhus will elaborate on art’s freedom when playing and mimicking data coding behaviours. Citing that most information production is now generated by ‘bots’, he will explain how Big Data recalibrates the monolithic relation humans have with their surroundings. Susan Schuppli is a media artist and cultural theorist who is currently Acting Director (2013-15) of the Centre for Research Architecture, Goldsmiths University of London where she also received her doctorate in 2009. Previously she participated in the Whitney Independent Study Program and completed her MFA at the University of California San Diego. Her creative projects have been exhibited throughout Canada, the US, Korea, Australia, and in Europe. Recent and upcoming projects include HKW, Casino Luxembourg, Artliner WTP, Stroom Den Haag, Shanghai Biennale. She is on the editorial board of the journal SITE (Stockholm) and her written work has appeared in Cabinet, Photoworks, Architectural Design, Borderlands, Cosmos and History, Memory Studies, Photographies, Ciel Variable, Mute, Yale University Press, Academia Press, Sternberg Press, Black Dog, and Cambridge. She is currently working on the book Material Witness (MIT Press 2015) which was the subject of an experimental documentary. Lars Holdhus (b 1986, Norway) graduated from Städelschule, Frankfurt and Gerrit Rietveld Academie, Amsterdam. Recent exhibitions include Refraction. The image of sense at Blain Southern, Shattered Preface, OSL Contemporary, Oslo and LIQUIDATE at Sandy Brown, Berlin. Holdhus' works reflect a strong sense of rhythm, seriality and melody, as well as a deep immersion in technology. He works with captivating images of both nature and science, adding multiple layers of surfaces and interfaces of his ‘personal’ signature. In his recent works, Holdhus has been addressing tendencies in machine learning, AI and human interaction. Central to his practice is how we can navigate new and increasingly complex technology-based scenarios around us. Holdhus is also a critically acclaimed producer of electronic music and is releasing music under the moniker TCF with a release out on Liberation Technologies and a forthcoming record coming out on the Antwerp based record label Ekster. TCF (Aedrhlsomrs Lauecehrofn) is an ordered list of elements of finite possible plaintexts, finite possible cyphertexts, finite possible keys, and the encryption and decryption algorithms which correspond to each key. If 'Hello England' becomes 'ollHe glEannd' or 'Hall on lEgend', what might seem like a trivial simple rearrangement scheme reveals another key to TCF's practice. TCF will release a new record on Ekster in beginning of 2015. Material Cryptographies is formulated by: Nick Bailey, Elo​ise Bonneviot, Sung Eun Chin, Carl Gent, Julia Gorostidi, Saemundur Thor Helgason, Karen Mc Lean, Sikarnt Skoolisariyaporn, Sam Smith, Andrew Sunderland, Katja Verheul. Project supervision by: Emily Rosamond. With very special thanks to:​ Michael Newman, Stella Sideli and Borbála Soós. Produced in collaboration with Tenderpixel and the MFA Fine Art programme at Goldsmiths College.